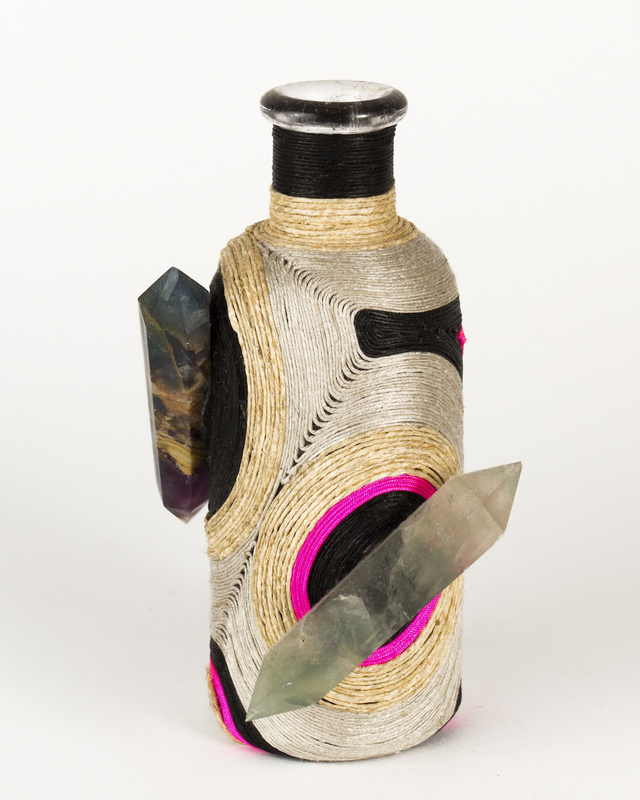 Mineral Bottle #22. Black and Pink. 250ML. Fluorite. Each Mineral Bottle crystal has been cleansed in Pacific Ocean salt for seven days and programmed for positivity. You can recharge your crystal's energy by setting it in the light of the full moon. I don't know if this really works, but figure it can't hurt. Measures 4 inches in diameter, 8 inches in height.